Match Your Classroom Themes with High Touch High Tech's FUN Science and Nature Experiments! High Touch High Tech can help your preschool stand out from the competition. We nurture budding young minds with amazing programs magnificently designed for preschool age children. 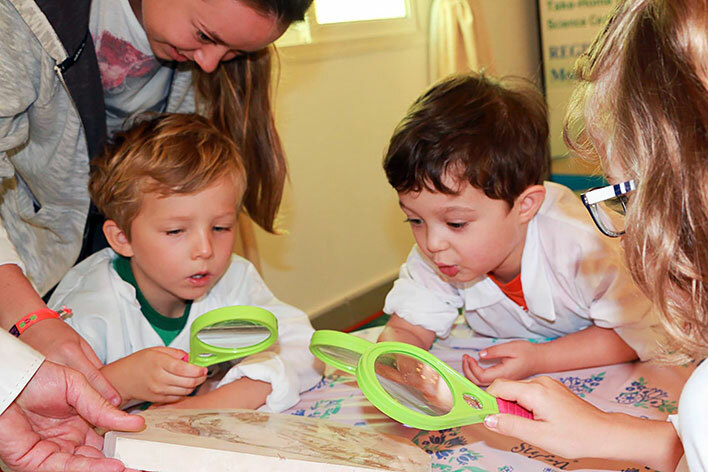 Our programs encourage your preschoolers to expand their thinking and problem-solving skills with many opportunities for both individual and collaborative projects. Our scientists are trained to actively listen to and talk with your preschoolers while encouraging their full participation in both discussion and experimentation. 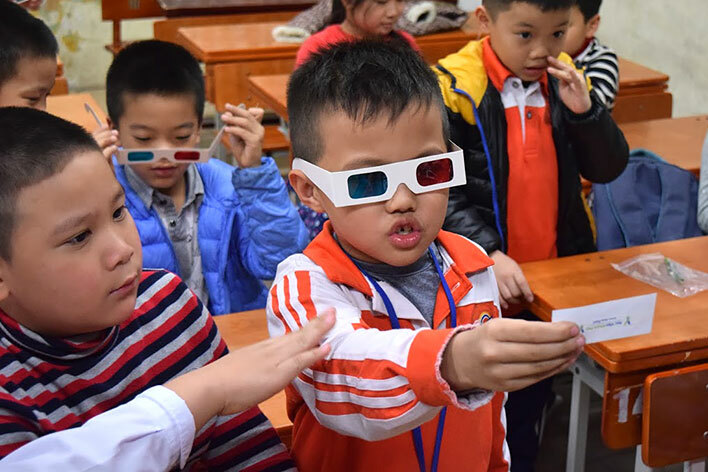 High Touch High Tech programs include quiet and active periods as well as short and longer activities to address the attention span of your students. 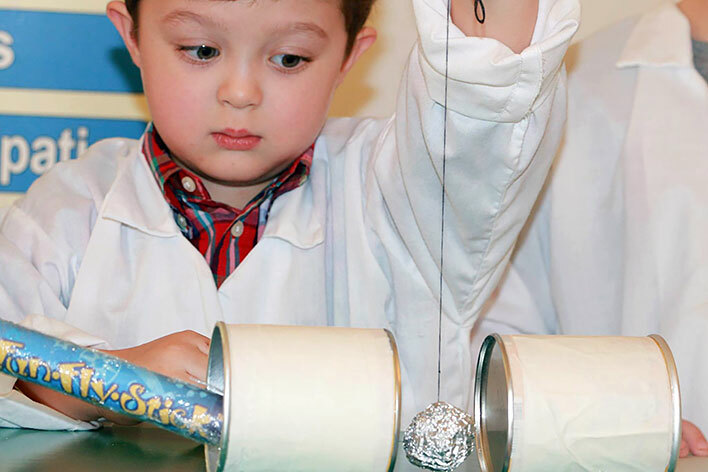 Children will discover the many wonders of science as they create take-home experiments and receive a science certificate for their participation. All programs are totally safe and totally hands-on for each child. We are available to come to your preschool every month from August to May, to deliver theme based programs that have been carefully planned to develop your preschooler's social, emotional, physical and intellectual skills. A scientist will come to your preschool for 90 minutes and engage each group of children for 30 minutes of non-stop, hands-on, FUN learning! The cost is $4.50/child with a $225.00 Program Minimum, and a $20.00 travel fee per scientist per day. You can divide that into 3, 30 minute classes; 2, 45 minutes classes; or as many 30 minute workshops needed to visit with all your students! We can come to your school every month from August to May, or you can select the programs you want. Call today or simply complete our reservation request form on-line to schedule your next preschool science field trip with High Touch High Tech. Click on the links below to view our current Preschool Program Guide and a complete list of available Preschool Programs. A: All supplies are provided by High Touch High Tech. Our Scientist will bring enough supplies for each student to enjoy a hands-on experience. Q: Do any of your programs contain food items or edible experiments? A: Some of our programs do have edible experiments, or may contain food items. If there are any foods or substances (ex. Nuts, Eggs, Latex, etc.) that are prohibited from your preschool, please inform us when you place your booking. We can certainly adapt a program to remove and replace an experiment if needed. Learn all about what a real scientist does. Use scientific tools! Observe and predict what happens when you mix chemicals together. Take home a real magnifying glass. Learn about those nasty little germs that make us sick. Find out how easily germs can be passed around and how you can keep germs off you! Get caught in the vast web of information about spiders. Learn the difference about a spider and an insect. Take a close look at spiders. Spin your own web and even build a spider you can eat! Take the mystery out of chemistry and have FUN at the same time. Uncover the facts as we make silly putty and colors separate right before your eyes. Step back in time to the age of dinosaurs. Become a paleontologist as we explore real fossils and make our very own fossil to keep! Step back into the days of the Gold Rush. Pan for real gems like the old prospectors did, and keep what you find. Learn about aerodynamics. Make a helicopter! Have FUN as we learn about jet propulsion. Discover why what goes up must come down! Discover the incredible night sky. Explore the stars and even make your very own constellation. Count down to the rocket launch! Discover what light is. Have fun as we explore shadows. Make UV Bead Bracelets! Have fun doing bubble tricks and playing bubble games. Learn the basics of bubble making and bubble blowing. Create cool bubbles and take home your own bubble blower!